Posted on 09/12/2017 at 11:43 am. 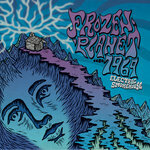 When asked to describe how this band came to be, they collectively answered, quote “We are a band called Frozen Planet…1969. The emphasis is on improvisation. No vocals, just straight-out instrumental jamming.” Enquote. 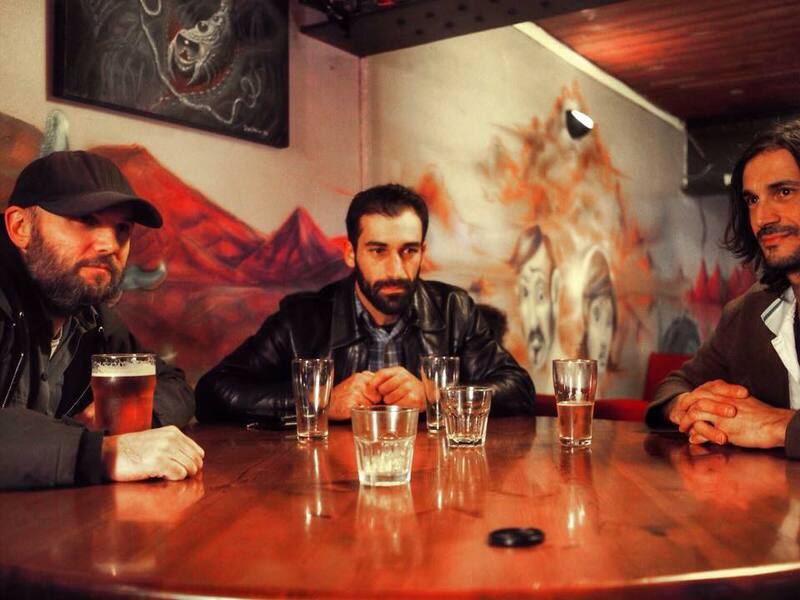 It was basically a side-project for the three individuals as Paul and Frank had been playing in the stoner-doom band, Mother Mars while Lachlan was playing in the Canberra, Aussie heavy rock trio, Looking Glass. Having played their first show in February of 2014, the band has only played a handful of shows, each consisting of a 30-40 minute jam session. Each individual show is unique, no rehearsals needed. 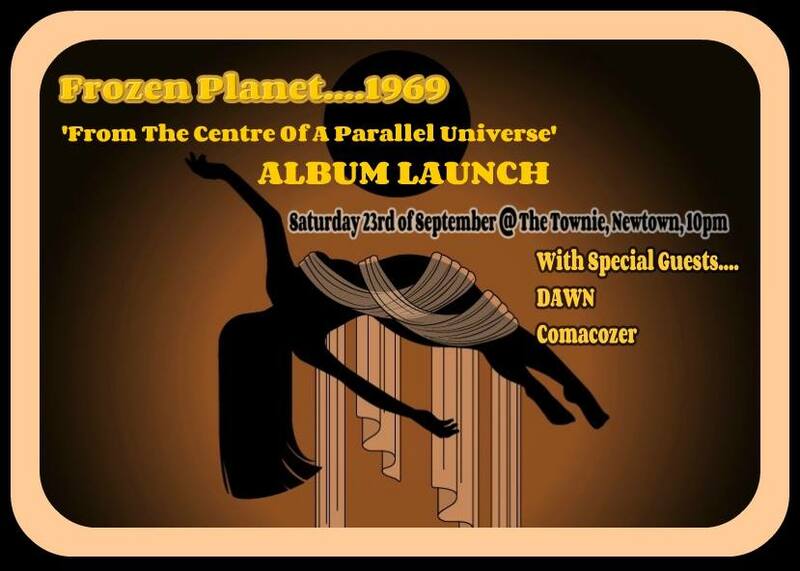 According to Frozen Planet…1969′s Facebook presence, quote “Every time the band gets together in the studio there will be two or three separate jams, with each jam usually clocking in at anywhere between 60 and 90 minutes. The editing and mixing process (done by drummer / producer Frank Attard) is very important for the band in order to capture the most effective and cohesive moments from the jam sessions.” Enquote. Certainly explains how they are seeming so prolific and that is NEVER a bad thing, especially with the caliber of music offered up here. Five songs clocking in at just over 43 minutes, combined to give you the present needed to further melt your brain, opening with ‘Signals (Channeling…. )’ and flowing into hyper-fuzzed, hyper tempoed, bass screaming in the thickest rumble heard as ‘Celestial Gambler’ races in front of you as you sprint to keep close, psychedelic ramblings encasing you in all of the Timothy Leary glory possible without the electric-Kool-Aid, jazz fills in tow and that lumbering bass line that commands you to follow during this 11 minute romp across that astral horizon looming ahead. Complete with an ending that sums up the tale of no words with an exclamation point that is absolute perfection and fades to a slow black. ‘Through Hell’s Kaleidoscope, Parts I & II’ is a quick fade in with a jangly, bouncy bass line and what can only be described as the ultra-spaced out panache of synchronicity divine as these three weave complete visual tapestries with not a word uttered, only mood and atmosphere to give your mind the things necessary to see what they are saying with each note and flick of the wrist. As the warbling chords of ‘The Lady And The Archer’ come forth with a more even handed pace than previous. That presence of emotional purity is still flowing right from the fingertips directly into the sub-conscious as you can’t help but ride the ripples in the air that circles you as you take this all in. 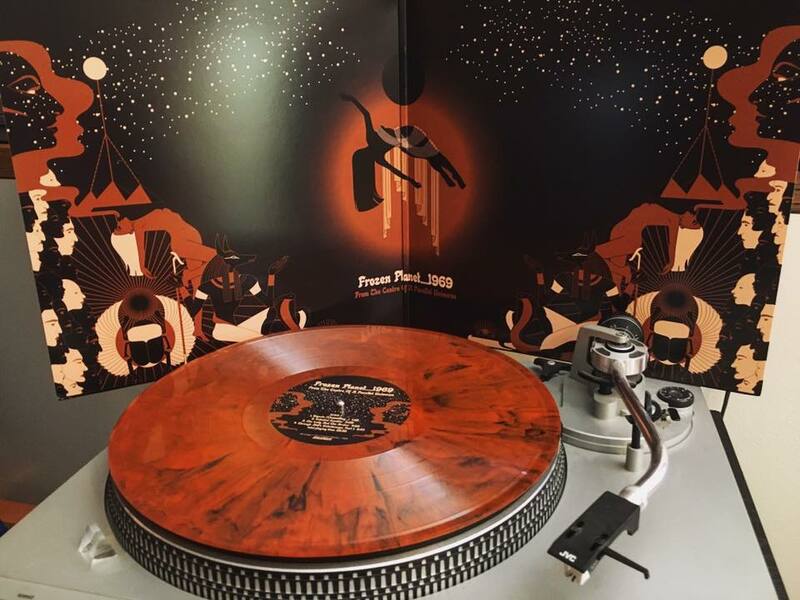 Closer, ‘Ancient Wings Taking Flight’ brings back the frenetic tempos blended with the spaced-out string bending that leads to the perfect summation of not only this record, but of the precision musicality delivered under the guise of a jam-band that delivers EVERY time. Get this record NOW, grab everything else you can find by these guys and play it to the Heavens and beyond!! Support them live if they come anywhere close and keep it LOUD! !